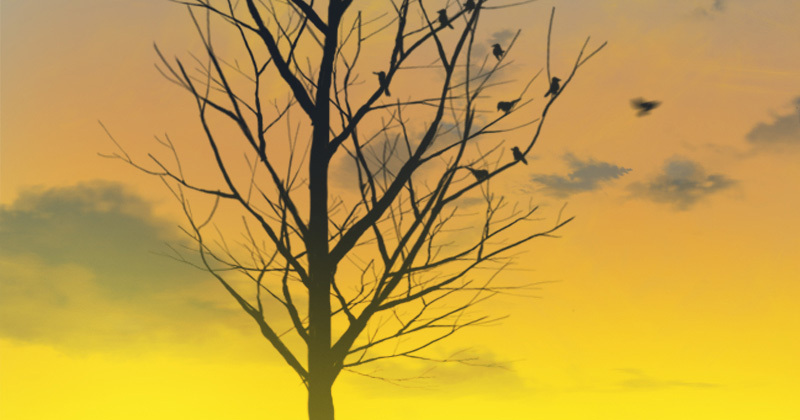 Quick painting of bird and tree branch silhouette. 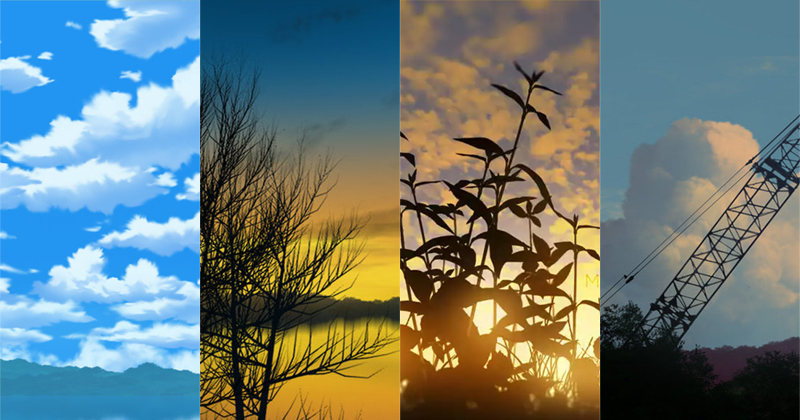 Death tree branches can be paint once, then duplicate and flip them to merge into the main tree trunk. Tree branch can be seen as a fractal pattern. 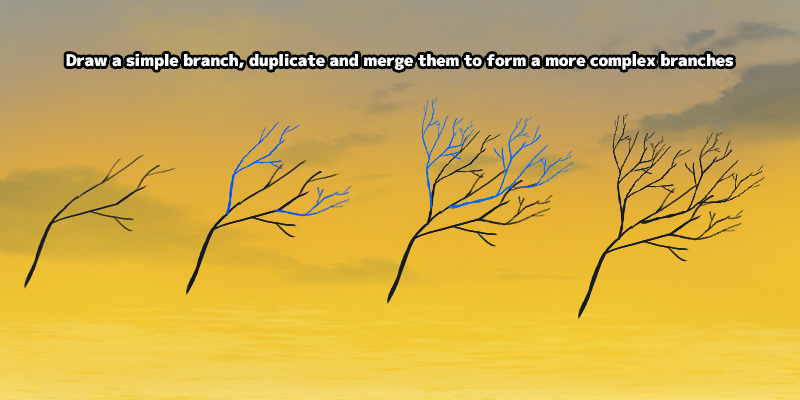 A quick way to do it would be drawing a simple branch shape, then duplicate and join them to form a complex branches.